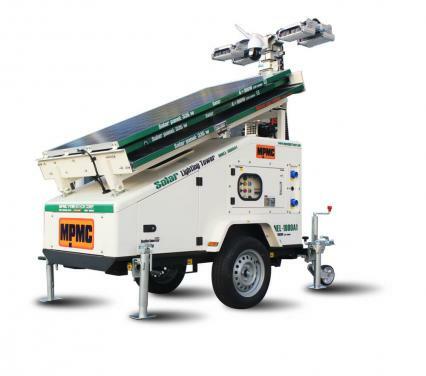 MPMC light tower use AI-KO trailer system, with obvious low-noise performance. 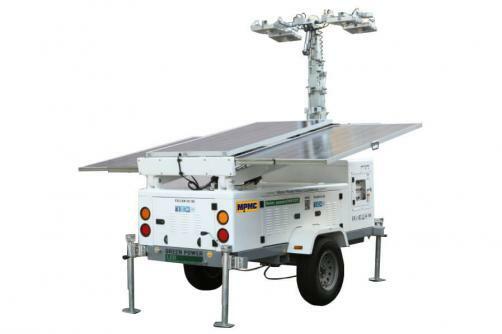 It can be used for large-area lighting and rescue and emergency use, such as the survey processing of post-earthquake field investigation. The operation of MPMC light tower is very simple, flexible and practical. MPMC light tower has a compact overall design structure, resulting in small size, light weight, attractive appearance, and easy maintenance. MPMC light tower owns an integrated control system. All of the control switch, display screen and the indicator are integrated on one same panel, so as to operator can do operations and real-time monitoring easily. MPMC light tower can be running with very low noise. The limit of system noise is less than 75dB at 1meter. The traction equipment is connected directly to the vehicle chassis, in order to keep the balance of the wheels. The trailer tail is equipped with indicate lamps and brake lamps. All of these design conform with the Road Traffic Safety Management Systems. MPMC light tower is equipped with a mast of four sections; the total height can reach 9 meters. It also comes with modern high strength cast aluminum luminaire, the light coverage radius is 120-150 meters.